Every analytics team knows that it’s important to align with the needs of the business. But there’s a hidden danger: relying too much on power users. In the bad old days, analytics was treated like every other IT infrastructure product. It kicked off with a phase asking what information people needed and then—months or even years later—provided the requested reports. At that point, of course, people realized that they didn’t want what they had asked for, and changing business circumstances meant their needs had already changed. IT was frustrated because business people kept “changing their minds” while business people couldn’t understand why IT was so slow and inflexible. These frustrations have lead (slower than one might have hoped) to more flexible agile analytics methodologies, with IT and the business working closely on faster cycles of bite-sized, iterative improvements. This helps ensure that what’s delivered actually corresponds to what’s needed. A danger with agile analytics is that it’s highly dependent on who you’re working with. In an earlier post, I argued that the ultimate goal of any analytics team should be to change the information culture of the organization. In addition to fixing today’s problems, the team should help everybody in the company think about future questions and needs. The problem arises when the analytics team reaches out to business teams as part of the agile development process. They are naturally inclined to spend their time with existing power users, who both understand key business problems and are able to articulate what they need in ways that are clear to analytics teams with IT backgrounds. These power users typically represent a big proportion of the urgent and important analytics needs of the organization, and analytics teams should absolutely be working with them. But not exclusively. Why? Because power users often have a strong vested interest in NOT changing the analytics culture of the organization. They have typically invested a lot of time and effort developing their expertise and have become highly valued by their bosses and peers. This leads to two main problems. In any organization, there will be many “casual users” of information–people who aren’t paid to analyze information, but could use data to improve their jobs. These casual users may not even realize that analytics are available that could help them. Or they may not be able to articulate clearly what they want, or understand the process for making requests — and so their needs never make it into the IT pipeline for new analytics functionality. 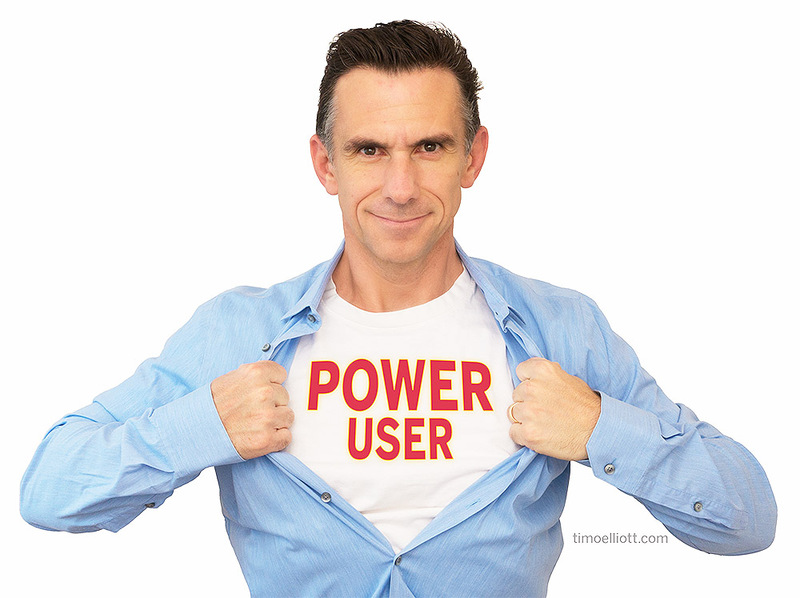 Power users are more likely to know about the needs of casual users. But they may not be particularly interested in improving information access for more people. After all, any work done to help others will reduce the resources available for their projects. Power users may fear that their own status will be diminished if analytics becomes more automated and easier to use. There is, after all, a certain amount of job security in being the only person who knows how to get vital business information. And some IT organizations make the problem worse by being tone-deaf to the human impact of analytics improvement projects. For example, in one company I worked with, an executive assistant evolved her position over several years to become a central point of vital corporate information for the executive team. This involved hours of tedious manual work each week, cutting and pasting data from multiple systems into a single integrated excel spreadsheet. But the spreadsheet was used by the leaders of the company to inform big strategic decisions. As part of a new analytics strategy, the IT team to improve the process. They created an integrated data store and standard reports that replaced almost all the manual data input, providing the information faster and more reliably. This person had been working hard to provide essential data to the executives for several years, a one-woman “executive information system” that had helped the company thrive. But instead of being thanked for her efforts, or asked for her hard-won insights on the executives’ needs, or offered new responsibilities, she was simply ignored throughout the project. To protect her role, the assistant started an active effort to undermine the new solution. Armed with the goodwill of the executive team, she was able to slow down implementation by emphasizing all the areas where the new solution fell short of the highly-customized service she had been providing. The project was ultimately completed only when an astute executive saw the underlying problem. His solution was to make the assistant part of the project team, with incentives to ensure its success. Too much emphasis on power users and their needs can — counter-intuitively — slow down the growth of analytics in the organization. To fix the problem, analytics teams need to keep their eyes on the big picture and ensure that processes are in place to ensure the greater goal of changing the information culture for the company. IT organizations should have direct, ongoing contact with the final users of any information. This helps ensure that the team isn’t blindsided to possible needs outside those of the power users. Part of the analytics team’s role should include reaching out to new potential users of corporate information. This may involve evangelizing existing systems and using methodologies like design thinking to actively promote new ways of using information to help the business. Finally, analytics teams must remember that the incentives of power users may not be perfectly aligned with the needs of the company. They should ensure that there are good incentive systems in place: power users should want to cut themselves out of the analytics loop whenever possible; casual users should be rewarded for using information to improve their work. Finally, perhaps most importantly: analytics teams should ensure that their own incentives are aligned with helping the business, not just building an analytics infrastructure.